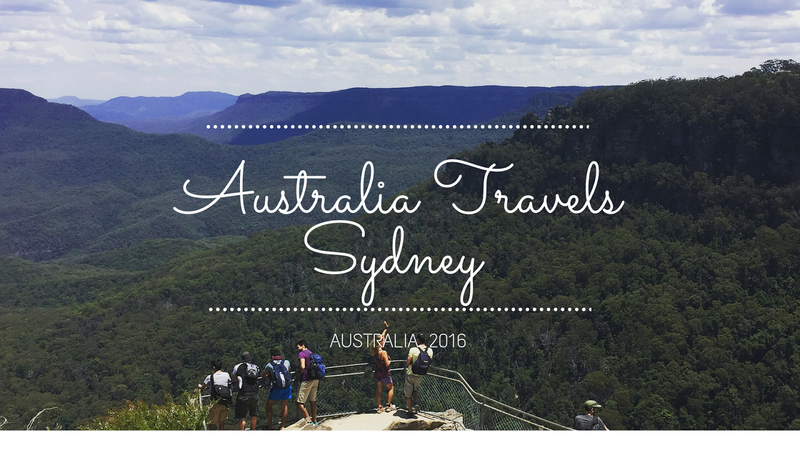 My trip to the Blue Mountains wasn’t planned before I travelled to Australia. I arrived in Sydney and stayed at Maze backpackers. They didn’t have a lot of trips available to book the main one was this one to the Blue Mountains. The trip cost AU$79 so the hostel must get a small discount. That works out around £40 for a day trip. The Blue Mountains are World Heritage listed and after seeing how beautiful they are I can see why. As soon as we arrived I was so glad I did the trip. The trip was incredibly interesting and the views and surroundings stunning. I made two lovely friends called Cherise and Polly, the tour guide Adam was hilarious and the mountains were so d peaceful. It was a magical day. So why are they called the Blue Mountains? In the hot sun the eucalyptus trees discharge a fine mist of oil from the leaves to refract the light. This makes the haze look blue at a distance. On our trip we went to Kings Tablelands look out and then on a bushwalk to Wentworth falls. Wentworth Falls is one of the most amazing lookout points in the Blue Mountains. We had plenty of time there so we could take lots of pictures enjoy the view. We went to a picturesque village called Leura for lunch. It had lots of cafes and a bottle shop selling all different kinds of beers. I’m not a big beer drinker but even I had one! Our tour guide Adam told us it was one of the best shops to go in. Our tour guide Adam a really hilarious chilled guy with so many funny stores that brought the group together. After lunch we headed to Katoomba which is the centre of the Blue Mountains and the gateway to its two most popular tourist attractions, the three sisters rock formation and scenic world. We saw the three sisters rock formation and then we travelled to Scenic World which includes Skyway which is Australia’s highest cable car, there’s also Australia’s biggest cable car and a railway with the steepest incline in the world. So we travelled across the mountains and then went along the walkway which is the longest elevated boardwalk in Australia with 2.4 km of walk through the rainforest which was epic. We took a boat trip back to Sydney harbour rather than the bus. We went from Olympic Park along Parramatta river which comes into Sydney Harbour back to Circular Quay.